Yesterday I wrote about Viktor Orbán’s pro-Russian policy, which does not endear him to Washington. Another sore point is the Hungarian treatment of certain NGOs and the attacks of late on independent organizations that receive money from the Norwegian Civic Fund. Barack Obama specifically mentioned the importance of NGOs as watchdogs over rogue states like Hungary. One would think that Viktor Orbán might try to mend fences with the U.S. by retreating a bit on this issue and not pursuing the controversial attacks on the Ökotárs Foundation, the distributor of the Norwegian Civic Funds. But no, these attacks have shifted into even higher gear. In May the government ordered KEHI (Kormányzati Ellenőrző Hivatal = State Audit) to investigate the case. The Norwegians consider the investigation illegal because in their opinion the money Ökotárs distributed among several NGOs was not part of the Hungarian budget. The money never entered the Hungarian treasury in any way. The funds came straight from an office entrusted with the task located in Brussels. If the Hungarian government had wanted to remove at least this particular sore point from the agenda, they could have quietly dropped the case and simply forgotten about the report KEHI prepared. Or they could have come out with a very mild reprimand for some lax practices. But Viktor Orbán wouldn’t be Viktor Orbán if he had chosen that path. Instead, yesterday KEHI released its 40-page report in which it accused Ökotárs of mismanagement, fraud, forgery of private documents, and unauthorized financial activities. As usual, Magyar Nemzet was the first publication to write about the report. Their initial article indicated that the KEHI document is already in the hands of János Lázár. From that point on Magyar Nemzet kept publishing shocking reports about the frivolous items these NGOs spent their money on. The one that caused the greatest uproar was the purchase of tampons. It turned out that the Kékpont Foundation was guilty of this particular crime. The foundation, which deals with drug addicts, gave “motivational” hygienic packages to the addicts, and the tampons were in packages distributed to the women. All these stories came out in Magyar Nemzet before the report was made available to the Ökotárs Foundation. Yesterday at last the document itself appeared on KEHI’s website. Okotárs over the years distributed 500 million forints and KEHI found something wrong with 200 million worth of the grants. Actually, the questionable items amounted to only 10 million (about $41,000). Yet Lázár is outraged and wants to renegotiate the contract with the Norwegian government. He promptly invited the “appropriate Norwegian minister” to Hungary for a friendly chat. Then, perhaps realizing the absurdity of his suggestion, he added that after all he would be ready to meet the Norwegian politician in Brussels. What will Lázár tell the “appropriate Norwegian minister”? Norway should break the contract with the Ökotárs Foundation since it is not worthy of Norway’s trust. The funds should be distributed by “state or private organizations.” The English translation of the report will be sent to the Norwegian ambassador in Budapest as well as to the European Commission. But not all accusations are in the KEHI report. Népszabadság reported that investigators at KEHI complained about Veronika Móra’s frequent meetings with American diplomats as well as her visits to the Norwegian embassy. These kinds of contacts are suspect in the eyes of the regime, as we know from Viktor Orbán’s “illiberal” speech in Romania. Meanwhile Magyar Nemzet kept attacking both the Norwegian government and Ökotárs. Yesterday morning an article appeared in the paper which claimed, on the basis of information coming from KEHI, that Ökotárs passed on important documents for safekeeping to the Norwegian embassy. And that is not all. Officials at the embassy postdated certain documents. While KEHI investigators were at it, they decided to accuse the Financial Mechanism Office (FMO) that handles the Norwegian funds in Brussels of complicity because its official suggested to Ökotárs that it move all its documents out of Hungary. Late last night journalists from more independent media outlets began looking at the findings of KEHI. András Földes of Index observed that only in history books could one find examples of such accusations that used to lay the groundwork for show trials in the Rákosi period. And, he added, “the officials are actually proud of it.” The proof presented to the journalists did not convince them, but they surmised that the officials of KEHI simply did what was expected of them by the Hungarian government. The results were preordained. Without going into the details, the KEHI officials, by pasting together parts of different sentences, actually falsified the intended meaning of Ökotárs’s CEO. The reporter for Index cites several dubious practices of KEHI that call into question the validity of the charges. In light of the above it is no surprise that Veronika Móra, CEO of Ökotárs, said to MTI today that it is impossible to respond to “accusations that are not supported by facts.” If the KEHI officials found irregularities, they should have described them precisely, but in the document one finds only generalizations. It is full of phrases like: “it also happened,” “there was also such a case.” Ökotárs is ready to go to court and hopes for a favorable verdict. Hungary’s squeeze on foreign-funded NGOs has been criticized by Norway and the United States…. US President Barack Obama last month included Hungary in a list of countries where “endless regulations and overt intimidation increasingly target civil society.”… Relations between the US and Hungary sank further last week when Washington issued entry bans to six unnamed Hungarian government officials it suspected of corruption. The US charge d’affaires in Budapest, Andre Goodfriend, told AFP on Tuesday that “intimidation of civil society” as well as “centralisation of authority, lack of transparency, and corruption” could prevent the US continuing as an ally of Hungary. Norway was tough all along but now it must feel even more hardened since the United States is supporting its stance on this matter. I know that everybody is intensely interested in the Hungarian government’s latest brainstorm, the introduction of an internet tax, but I would rather wait with an analysis of this latest scandal until it becomes clear what the fate of the proposal will be. So far the reaction to this new tax has been so vehement that the government most likely will have to retreat. When an article in the right-wing Válasz predicts that “if we had an election today Fidesz would lose big,” I think it’s time to order a quick turnabout. I would like to add just one observation on a related topic: the Hungarian budget must be in a sorry state if an additional tax must be levied on soap and detergent, allegedly because they are harmful to the environment. Let’s not contemplate the detrimental effect of curtailing the use of soap because this would take us too far afield. So, instead of dealing with the effects of an internet tax, I will look at other recent governmental decisions that have been detrimental to Hungary’s relations with the United States and the European Union. What I have in mind is Viktor Orbán’s flirtation with Putin’s Russia, which is being watched with growing concern in Washington and Brussels. Already there have been a couple of moves indicating close cooperation with Russia that raised eyebrows in the democratic world: the building of a nuclear power plant by a Russian firm on Russian money, Hungary’s refusal to support the common European position on the Russian sanctions, a tête-à-tête between Gazprom and the Hungarian prime minister followed by the Hungarian decision to stop supplying gas to Ukraine, and the government’s decision to let Gazprom use Hungarian facilities to store gas in case Russia cuts off the flow of gas through Ukraine. These moves worried and irritated the United States and the European Union, only compounding their concerns about all the transgressions of the rules of democracy committed by the Fidesz government against the Hungarian people. Years have gone by; at last western politicians are slowly, ever so slowly deciding that they have had enough. After Norway it was the United States that openly showed its dissatisfaction with the domestic and foreign policies of the Orbán government. Yet, as the last few days have demonstrated, Viktor Orbán is not changing tactics. On the contrary, as I wrote yesterday, he is strengthening ties with countries whose relations with the United States and the European Union are strained. Almost as if Viktor Orbán purposefully wanted to have an open break with Hungary’s western allies. Yesterday one could still hope that Viktor Orbán would come to his senses and would at least make some gestures, but as yesterday’s meeting between Péter Szijjártó and Victoria Nuland indicated, the new Hungarian foreign minister was sent to Washington without a Plan B. By today, however, most likely in his absence, the government came out with a new idea. What if the Hungarian office of taxation and customs (NAV) announces that in the last several years they have been diligently pursuing their investigation of those criminal elements who through tax fraud unfairly competed against the American company Bunge? Maybe it will work. Mihály Varga, minister of national economy, announced this morning that four of the culprits are already in jail. Very nice, but there is a fly in the ointment. Most likely the U.S. State Department remembers, as I do, that András Horváth, the whistleblower at NAV, months ago gave a detailed description of the ways in which these criminals operated. He asked NAV to investigate and disclose their findings, but the managers of the tax office first fired Horváth and a couple of days later announced that after an internal investigation found everything in perfect order. So I doubt that the Americans will fall for that bogus story. Yesterday Portfólió asked “how to make the USA more angry with Hungary,” but they “did not have the faintest idea that the government has been holding the best answer to that and it beats every idea [the Portfólió] have ever had.” So, what is it? 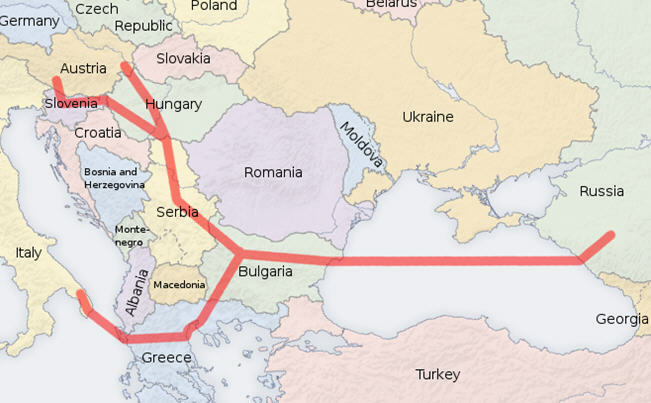 In order to understand the situation we have to go back to the controversy over Russia’s new pipeline already under construction–the Southern Stream–that would supply Russian gas to Bulgaria, Serbia, Hungary, Austria, Slovenia, Greece, and Italy. The United States and the European Union were never too happy about the project and now, in the middle of the Russian-Ukrainian crisis, they are especially leery of Putin’s plans. In fact, the European Commission asked the Bulgarians to stop the construction of the pipeline in their country. They obliged. The European Union also warned Serbia that they can forget about future membership in the European Union if they agree to support the project right now. In Hungary construction has not yet begun, but the Orbán government seemed to be afraid that something similar would happen to them what happened to the Bulgarians. They decided to act. Changing the law by now has become a Fidesz pastime. Today Antal Rogán proposed an amendment to a 2008 law on natural gas that will allow any gas company to construct a pipeline. The original law, in harmony with laws of a similar nature in other countries, specified that the company in charge of the construction has to be a certified transmission system operator who must conform to international rules. Since pipelines are transnational projects, the countries involved must coordinate their individual projects. What the Hungarians hope is that as a result of this amendment Hungary will not be bound by any international constraint. Starting the project will depend only on the Hungarian Energy Office, which could give permission to any company it chooses to construct the pipeline. Portfólió suspects that both the European Union and the United States will be “furious” upon hearing this latest Hungarian ruse. Clever Hungarian lawyers, who seem to specialize in circumventing the letter of the law, might think that this scheme is foolproof, but I suspect that EU lawyers will find the legislation full of holes. Hungarian papers suggest that the Orbán government is playing for time. But the case is settled, they argue; the pipeline will be built. Surely no one will force Hungary to destroy it. Let’s contemplate another scenario. What if the European Union and the United States in joint action put such pressure on the Hungarian government that the plan must be abandoned? As it is, according to analysts, Budapest is already between a rock and a hard place. When political scientist Gábor Török, who has the annoying habit of sitting on the fence, says that “the Orbán government is in big trouble. It was before but now it is different. It will not fall, surely not now…. But if it does not recognize the fork in the road or if it chooses the wrong road, we will mark the events of today as a definite turning point.” And in an interview this afternoon Ferenc Gyurcsány twice repeated his belief that Hungary is at the verge of leaving the Union and, when it happens, it will not be Viktor Orbán’s choice. I wouldn’t go that far, but I do predict that the screws will be tightened. Among those who will apply pressure will be Norway since the Hungarian government audit office just came out with its report claiming that Ökotárs, the organization in charge of distributing the Norwegian Civil Funds, has used the money inappropriately. A criminal investigation will be launched. We know that Barack Obama said that the American government supports NGOs in countries where they are under fire. Today we learned that Veronika Móra, chairman of Ökotárs, was a member of a delegation that visited Washington in late September. During that trip the NGO leaders were received by President Obama in the White House. By contrast, Péter Szijjártó did not get any higher than one of the assistant undersecretaries of the State Department. If I were Viktor Orbán, I would take that as a warning. Let’s cut to the chase: neither the Hungarian nor the American position has changed despite Foreign Minister Péter Szijjártó’s meeting with Assistant Undersecretary Victoria Nuland in Washington today. So far we have two brief reports on the meeting. The first was published in Magyar Nemzet; its source is HírTV, which sent its own crew to Washington for the occasion. The second is from the Washington correspondent of MTI, which I found in HVG. The former is a more expansive summary of what transpired between Nuland and Szijjártó, complete with direct quotations from Szijjártó himself. What did we learn from this report? Despite repeated American explanations of why the U.S. government is unable to reveal the names of the individuals who have been banned from entering the U.S., Szijjártó was still hoping for such information. Here is Szijjártó in his own words: “I asked the government of the United States to share with us creditable information on the basis of which they accuse certain Hungarian citizens of corruption.” As long as there is no such information “we cannot move forward…. It is only the United States that can make the first move.” A stalemate. The United States expects the Hungarian government to clean up the country’s thoroughly corrupt behavior toward international businesses while the Hungarian government’s interpretation of the situation is much more narrowly defined. As far as the Hungarians are concerned, there may be some corrupt officials but unless the United States names these people the Hungarian government can do nothing. The only positive development, according to Szijjártó, was that Nuland did not repeat the threat uttered by Goodfriend that “if that trend continues it may reach a level where the United States can no longer cooperate with Hungary as an ally.” I do hope that Szijjártó doesn’t interpret this omission to mean that Goodfriend made an empty threat because I’m almost certain that if Hungary stonewalls, other harsh steps will be taken against the Orbán government. And for the time being stonewalling seems to be the Hungarian diplomatic strategy. The MTI report was more upbeat. Who knows why Szijjártó changed his story, but he did. No more talk about who will have to take the next step. Instead, he emphasized his government’s willingness to fight corruption and said that in this fight the two governments can count on each other. Economic and military relations between the two countries are excellent. According to Szijjártó, Nuland was full of praise for Hungary’s decision to supply gas to Ukraine. There was an interesting remark made in passing. It turned out that Nuland brought up some specific criticisms of certain pieces of Hungarian legislation, but Szijjártó brushed these objections aside as being irrelevant because they have been accepted and approved by the European Commission. What did the Hungarian government know about the coming storm? It seems a lot, and not only about the corruption cases. One had to be blind and deaf not to notice the growing dissatisfaction of foreign governments with the Orbán regime. One also assumes that Hungarian diplomats do their job and write reports on the current attitude toward Hungary in their host countries. Of course, given the atmosphere in government offices in the Orbán regime, it is possible that the ambassadors don’t dare tell the truth. Still, although there was a stream of denials of any wrongdoing and everything was chalked up to Hungarian liberals’ squealing and turning against their own country, I believe they knew full well that trouble was brewing all around. And yet Népszabadság‘s Ildikó Csuhaj, who seems to have good Fidesz sources, claimed today that Viktor Orbán himself knew nothing about the NAV affair. One wonders how much disinformation from “reliable” Fidesz sources lands on Csuhaj’s desk. This seems to be one of them. Although there was plenty of evidence of growing U.S. dissatisfaction with Viktor Orbán’s policies, he did not change his ways on issues that seemed important to Washington. He even ignored Zsolt Németh’s warning. I wrote about a conference held in Washington on October 2 where one of the speakers was Németh, an old friend of Orbán–at least until recently, who received a very chilly reception. It was here that Victoria Nuland delivered the speech I republished in Hungarian Spectrum. Today Németh decided to speak and tell the world that he had forewarned Orbán about the impending bomb that might be coming from Washington. The interview with Németh appeared in Válasz. In it Németh expressed his hope that “several of the questions surrounding the [NAV] affair will be cleared up.” (As we know by now they were not.) Hungarian right-wing journalists dismiss corruption as the real cause of the present situation. In their interpretation the reference to corruption is only a pretext. Válasz‘s reporter also wanted to know whether the real reason for the ban on corrupt officials is Viktor Orbán’s relations with Russia. Németh wouldn’t dismiss corruption entirely, but he thinks that in addition to the Russian connection there are other very irritating issues: the NGOs, Hungary’s attitude toward Ukraine, the Russian sanctions, and the speech on “illiberalism.” Németh sensed all that, and on his return to Budapest he informed the foreign minister–still Tibor Navracsics then–and the prime minister of his experience. At the end of the interview Németh indicated that a new chapter should open in U.S.-Hungarian relations: “we are right after the election, both countries will send new ambassadors. Let’s see the good side of this affair: we are at a point from which we can take off.” Although not in so many words, what Németh suggests is an entirely new Hungarian foreign and domestic orientation. Németh is most likely right. I can see no room for improvement in U.S.-Hungarian relations if the Orbán foreign policy proceeds apace. I even have my doubts about improvement if Orbán makes some adjustments in his domestic and foreign policies. By now Orbán strongly believes in his vision of a new Hungary in which liberalism has no place. This new Hungary is an authoritarian country with pseudo-democratic trappings. He is also convinced in the declining West and the rising East. He will not change course. He really can’t. He is what he is. He can never satisfy the demands of western democracies. Just to reinforce my point about Orbán’s mindset, here are two pieces of news about the latest Hungarian diplomatic moves. Hungary may be experiencing a serious diplomatic crisis with the United States but the foreign ministry just announced that Hungary will open a cultural and commercial agency in Northern Cyprus, a “country” recognized by only one country, Turkey. This move might make Hungary’s relations with two EU countries, Greece and Cyprus, less than friendly. This is a gesture toward Turkey, whose “illiberal democracy” is a thorn in the side of western democracies. The second diplomatic move also sends a not too cordial message to the United States. Two days ago the Iranian Tasmin News Agency announced that a Hungarian parliamentary delegation is scheduled to pay an official visit to Iran. The visit will be fairly long. The delegation is headed by deputy speaker János Latorcai (KDNP). The invitation to the Hungarians was extended by the deputy speaker of the Iranian parliament Seyed Mohammad Hassan Abu Torbifard. It is interesting that reports of controversial Hungarian diplomatic moves usually don’t appear in the Hungarian press. Hungarians hear about the events from the other countries’ news agencies. From a later Tasmin News Agency report we learned that Latorcai had a meeting with the chairman of the Iranian parliament’s national security and foreign policy commission, Alaeddin Boroujerdi. According to the report, Boroujerdi made the following comment during their conversation: “the illogical and wrong policies adopted by the US and its regional allies have caused the spread of terrorism and instability across the region and their continuation has turned terrorism into a global concern.” As for Iranian-Hungarian relations, the Iranian politician said that “the two nations have great potential for the enhancement of relations in the political, economic, and cultural fields.” Latorcai, for his part, emphasized that “Budapest is determined to strengthen its ties with the Eastern nations, with Iran in particular.” One must wonder whether these diplomatic moves are the result of inexperience or, as I suspect, are designed to irritate Hungary’s allies and flaunt the country’s total independence. Whatever it is, this attitude will eventually lead to diplomatic disaster. It’s just a question of time. Let me summarize what we know so far about the U.S. action against certain Hungarian businessmen and government employees. Initially it was reported that ten people were banned from entering the United States, but by now that number has been reduced to six. We definitely know of one businessman who reported on his fate to ATV. It was he who mentioned three employees of the Office of Taxation and Customs (NAV). One of the three was allegedly the president of NAV, Anikó Vida. The spokesman for the tax office did not deny the charge. If the number six is correct, there are still two people about whom we know nothing. 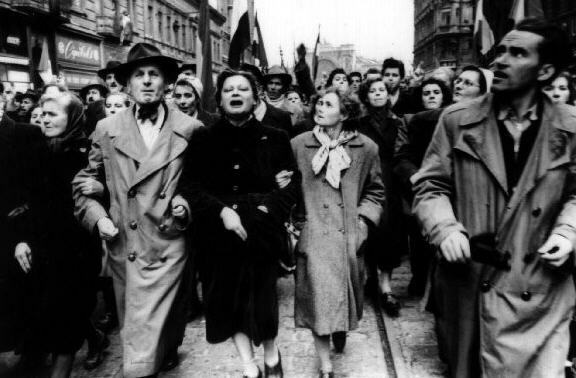 Although the Hungarian government feigns total ignorance of the details and keeps repeating that it is unable to move against the corrupt officials, in fact they have known for two weeks about the American resolve to pursue those Hungarians who have been trying to blackmail American firms and extort kickbacks of billions of forints from them. Levente Magyar must have understood the gravity of the situation because a subsequent meeting was arranged at the request of the Hungarian foreign ministry between Péter Szijjártó and André Goodfriend. This meeting took place on October 13. The American chargé repeated everything he had already told Magyar. Szijjártó then insisted that he reveal the names of those would be affected by the ban. Goodfriend in turn explained that the American government never reveals names in cases connected to Proclamation 7750. What the U.S. expects is swift action against the culprits. Let’s stop here for a minute. I assume that Viktor Orbán was notified immediately after the encounter between Magyar and Goodfriend on October 6, and I also suspect that the prime minister’s advice was to insist on “proof” from the Americans. When that failed, in typical Orbán fashion the decision was made to launch a counterattack. NAV leaked information to Napi Gazdaság, a financial paper owned by Századvég, a consulting firm and think tank close to Fidesz, that the United States is contemplating evoking Proclamation 7750 against certain Hungarian businessmen in retaliation for NAV’s tax probes against certain American firms. If the Hungarian government hadn’t decided on this counterattack, we perhaps would never have found out about the travel ban on the six, still unnamed individuals. Colossally stupid move, but I think it is typical. Viktor Orbán always has to have the last word. What is the Community of Democracies? It is a global intergovernmental coalition of states founded in 2000 at the common initiative of Madeleine Albright and Polish foreign minister Bronislaw Geremek. The organization is headed by a Governing Council consisting of 26 countries, among them Hungary. Apparently it was the United States that suggested that Hungary be removed from the Council and perhaps even from the organization. Or perhaps Hungary might consider a voluntary withdrawal from the Community in order to avoid embarrassment. The likelihood of an American initiative in this case was reinforced by André Goodfriend’s observation that such a move might be warranted under the circumstances. While the Hungarian government is stonewalling, the U.S. chargé d’affaires in Budapest, most likely following instructions from the State Department, is delivering tougher and tougher messages to the Hungarian government during fairly frequent press conferences at the embassy. Perhaps the strongest language could be heard this afternoon when Goodfriend explained the reason for American action. In Hungary prior to 2010 the level of democracy and transparency, especially in comparison to some other post-socialist countries, was high. But while in other countries the trend is toward greater democracy and transparency, in Hungary the opposite is true. “If that trend continues it may reach a level where the United States can no longer cooperate with Hungary as an ally.” Clearly, the United States is not joking–as Antal Rogán assumed only yesterday during an interview. Let’s return briefly to the three high officials of the Hungarian tax office who most likely are implicated in the case. In what way can they engage in fraud and corruption? Here is an explanation offered by Dávid Jancsics, who is currently conducting research at the City University of New York. His expertise is corruption. He learned from two independent sources that the NAV employees demanded kickbacks from two American companies in exchange for tax breaks and a lower VAT. Apparently they demanded 2 billion forints in exchange for these favors, money that the American companies were supposed to pay to a foundation associated with Fidesz for purposes of “research and analysis.” In addition, the NAV officials promised heavy fines on the American firms’ competitors. When the Americans didn’t bite, the NAV officials began threatening them with tax probes. It was at this point that the firms turned to the American embassy and reported the bribery attempts. The implication of this analysis, if it is accurate, is frightening because in this case the tax office is part and parcel of a corruption scheme that appears to be centrally organized. This takes us back to an old story about a whistleblower at NAV who claimed that high NAV officials refused to investigate obvious fraud cases. András Horváth, the whistleblower, said that he was mostly involved in investigating companies that dealt in agricultural products. Index came to the conclusion that one of the two American companies in question was Bunge, a leading agribusiness and food company. It is a global firm with 35,000 employees in forty countries, including Hungary. They produce among many other things cooking oil sold in Hungary under the label Vénusz. It was well known that the management of Bunge was very unhappy about the VAT fraud and that their efforts to enlist the help of NAV were fruitless. It is possible that after a lot of complaints from the Bunge management NAV officials offered to do something about the competition’s fraudulent business practices but only at a price. Hungarian journalists in the last few days have asked several business groups, like the German-Hungarian Chamber of Commerce, about the extent of corruption in Hungary. The answer is that foreign companies have known for years about corruption involving billions. “Hungary is a part of the Balkans” by now, and the situation is only becoming worse. According to foreign business leaders, Hungarian business life is corrupt through and through. Healthy competition is impossible under such circumstances. Péter Szijjártó is leaving Budapest for Washington tomorrow to meet Victoria Nuland. I wouldn’t like to be in his shoes. A bombshell: the U.S. government placed ten Hungarian businessmen and government officials on a blacklist of sorts. They are barred from ever entering the United States. The businessmen in question are known to belong to a small circle of people very close to Fidesz. As for the government officials, they are apparently employees of the Hungarian equivalent of the Internal Revenue Service. As of now there are two narratives of the event circulating in the Hungarian media. One is the government version, leaked to Napi Gazdaság, a financial paper recently purchased by Századvég, a Fidesz think tank. The other comes from the U.S. Embassy in Budapest. Let’s start with the government version of the story. The Hungarian internal revenue service became suspicious of some American firms doing business in Hungary and launched investigations into their finances and tax returns. The U.S. government decided to retaliate by barring several Hungarians from ever entering the United States. Behind this “diplomatic duel” are the recent critical statements of former President Bill Clinton and President Barack Obama with regard to the Hungarian government’s attacks on NGOs. The two American Democratic leaders were especially upset over the fate of the Ökotárs Foundation, the distributor of the Norwegian Civic Funds, whose tax number was recently suspended. Why this particular concern? 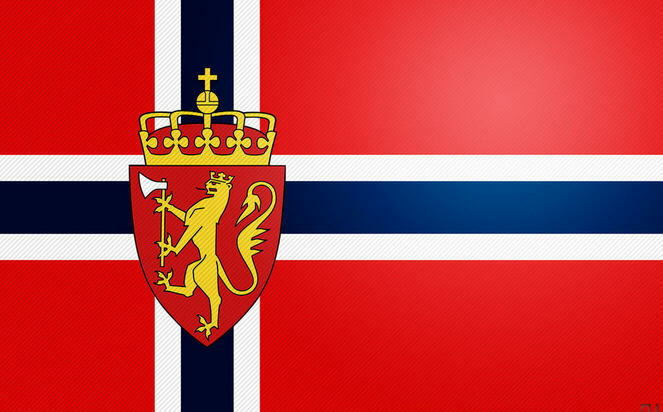 Because, the article contends, the Norwegians are also generous contributors to the Clinton Global Initiative. At the end of the article Napi Gazdaság casually mentions that because of the link between the American Democratic Party and the Norwegian government, the Ökotárs Foundation “will not go against the interests of the Democratic Party.” So, the Hungarian government’s investigation of Ökotárs will actually have a beneficial effect. It may “place Hungary’s reputation on neutral ground in the political warfare between Democrats and Republicans.” Here Századvég is speaking, the think tank that owns Napi Gazdaság. Századvég just received a huge contract from the Orbán government to engage in public relations/propaganda in Washington over the next few years. But there might be a bit of a problem here; as we will see later, its CEO is barred from entering the U.S., which might crimp its effectiveness. Napi Gazdaság contacted the U.S. Embassy, where they were told that they know nothing about any investigation of American firms and that the decision of the U.S. government to bar some individuals from entering the United States has nothing to do with alleged probes by the Hungarian internal revenue service. However, they have good reason to believe that the people on the black list were engaged in criminal activities. They tried either to force American firms to give them kickbacks or to extort special favors from them. They cannot release the names because of American laws prohibiting it. It didn’t take long for one of the people involved to arrive at the doorstep of ATV and to offer some details about the case. According to him, he and nine others were asked to visit the U.S. Embassy where they were administered the bitter pill. 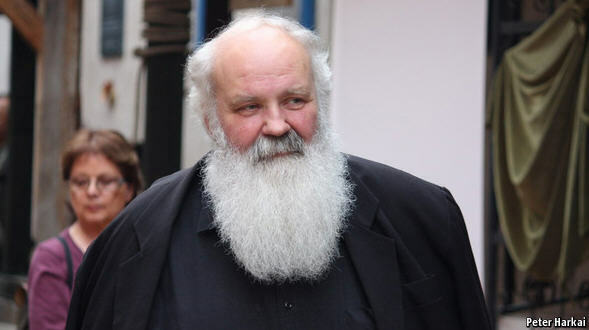 ATV was not allowed to reveal the name of the informer, but the article described him as “an especially important partner of the Hungarian government who currently is participating in several important projects. In the last few years his name appeared frequently in the Hungarian media…. He considers himself a businessmen who is very close to Fidesz.” There is a sentence in this report that strongly suggests that our mystery businessman is not entirely innocent. After all, he found “the measure disproportionate, which further damages American-Hungarian relations.” So he did something illegal, but he thinks that the punishment is too harsh. Both the Fidesz parliamentary delegation and the Ministry of Foreign Affairs and Trade reacted promptly to the news. Fidesz sticks to the story leaked to Napi Gazdaság. The United States government is putting pressure on Hungary because they want to avoid the investigation of certain American firms by the tax office. 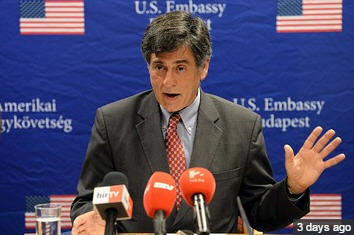 M. André Goodfriend, the U.S. chargé d’affaires, was called into the ministry, but before his appearance Judit Fülöp, the ministry spokeswoman, gave a short press conference. She stressed the Hungarian government’s zero tolerance toward corruption. She announced that they are ready to investigate the cases but are waiting for documentation from the American Embassy. Meanwhile investigative journalists were hard at work. From unofficial sources 444 learned that in the last year and a half there were several instances where government officials and businessmen closely associated with the government party approached American firms for kickbacks. In one case a large American firm applied for an EU grant. At first the government turned them down, but in the second round the management was told that they would receive the money but only if they hire a certain consulting firm that would perform no work at all. A few hours later some names also appeared. Among them is Péter Heim, CEO of Századvég, the think tank that was launched by Fidesz in its infancy and that is now tasked with improving Hungary’s image in Washington. The news about the Hungarian internal revenue service seems to have been on target. Ildikó Vida, the head of the office, is on the list. Vida is one of the original founders of Fidesz. She is the same age as Viktor Orbán and was a fellow student in the college where the party was born. This is not the first time that she is in charge of the tax office. She held the same position during the first Orbán administration between 1999 and 2002. One must keep in mind that the Orbán government uses the internal revenue service as a political club. Index reported that in addition to Vida two other employees of the tax office are also involved. And then there is Árpád Habony, the eminence grise of Fidesz. He has no official position, but he is perhaps one of the most important men behind Viktor Orbán. I devoted a whole post to him a while back. Rumors about his shady financial affairs have been circulating for some time. His source of income is shrouded in mystery. According to the latest information, Habony denies being on the list and is planning to visit the United States shortly. On the surface the affair is solely about corruption, but the American reaction to these cases is politically charged. 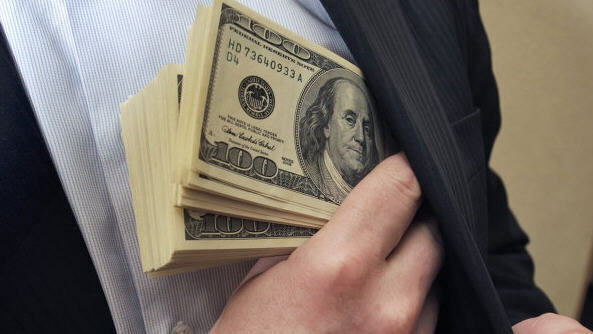 One has to assume that in countries with rampant corruption such as Hungary the U.S. Embassy receives reports of bribery attempts often enough. There are several ways of dealing with such cases. For instance, one can pay a visit to the country’s foreign ministry and report that such behavior is unacceptable. At the same time the American official can express his hope that in the future there will be no discriminatory measures against American firms and that extortionist activities will stop. But in this case the United States government came out with the big gun. The Americans in Budapest must have known for years about the high level of corruption in government and its satellite business circles, yet it is only now that they decided to move into high gear. This is, in my opinion, a political message to the Orbán government and part and parcel of a new, more forceful policy being conducted by the U.S. government toward Hungary.